Improves water resistance, too - score! 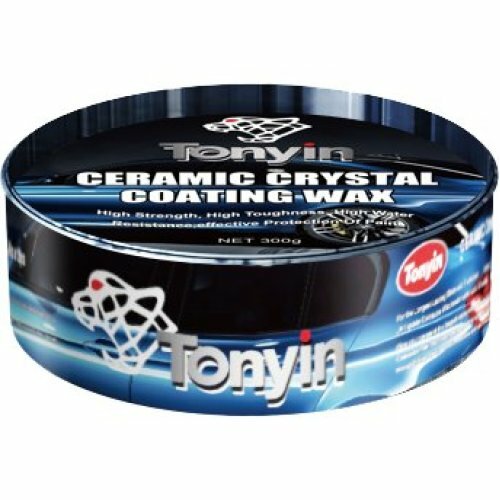 The perfect way to polish off your car wash while providing protection that lasts, this Ceramic Crystal Coating Wax is bound to prove your new car care must-have. Giving your paintwork a well-deserved refresh, the simple-to-use wax delivers a protective finish with a high gloss shine and water resistance (essential for safeguarding against British weather!) - what more could you ask for? How do I freshen up my car? Repeat until your whole car is gleaming! Please note: It's recommended that you apply out of direct sunlight to a cool surface. The wax is not suitable for use on vinyl tops, metallized plastic trim, decals, flat black paint, simulated wood panels, cracked or crazed paint finishes. Protects against weather & pollution damage, too!